10 Condominiums for sale from 359K to 1.25M. 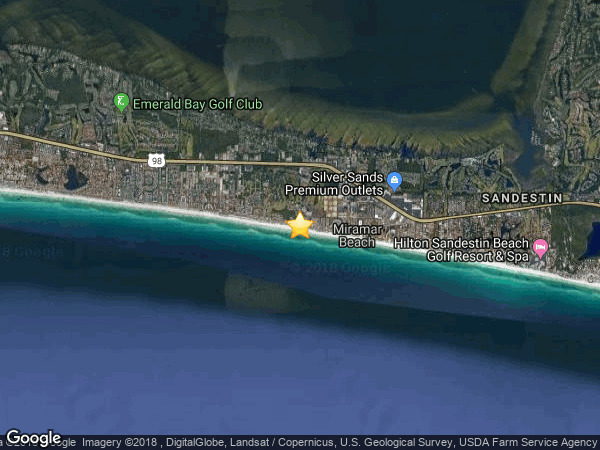 The Majestic Sun Condominium is a contemporary styled gulf front condo built in 2001 and located on the eastern end of the Scenic Hwy 98 in Miramar Beach FL. The Majestic Sun is a 12-story, 288 unit condo complex. It is one of 4 condo tower complexes located within Seascape Golf & Beach Resort. All units at Majestic Sun face south toward the beach and gulf. The beach at Majestic Sun is directly across a restricted speed 2-lane road with pedestrian crossings. There are currently 10 s for sale in Majestic Sun condo. The Majestic Sun Condominium is a contemporary styled gulf front condo built in 2001 and located on the eastern end of the Scenic Gulf Drive in Miramar Beach FL. The Majestic Sun is a 12-floor, 288 unit condo and is one of 4 condo high-rise tower complex located within the Seascape Golf & Beach Resort complex. All units at Majestic Sun face south toward the beach and gulf. The beach is directly across Scenic Gulf Drive - a beach front restricted speed 2-lane road with pedestrian crossings. a gated entry into resort / complex. an indoor/outdoor 'swim-out' styled seasonally heated pool. an Open air and covered parking (Specific units own covered parking). an 18 hole Seascape Golf Course within the resort. Tennis courts located within the resort and walking distance from Majestic Sun. Easy walking private streets and biking paths within the Seascape resort. If their are 3 digits, the first number is the floor. The first letter designates the Majestic Sun building. If their are 4 digits, the first and second numbers is the floor. The last digits represent the stack (also known as the 'column') which number 1 to 14 in each Majestic Sun building. What does the the Majestic Sun Stack Number Tell You? Q1: Which Majestic Sun units have a gulf front master bedroom? Floor 12 : All 12th floor Majestic Sun units have a gulf front bedroom. All Majestic Sun units starting with "A" and ending with the two digits "01" are end units with additional side windows and an extraordinary eastward balcony view down the beach. All Majestic Sun units starting with "B" and ending with the two digits "12" are end units with additional side windows and an extraordinary westward balcony view down the beach.